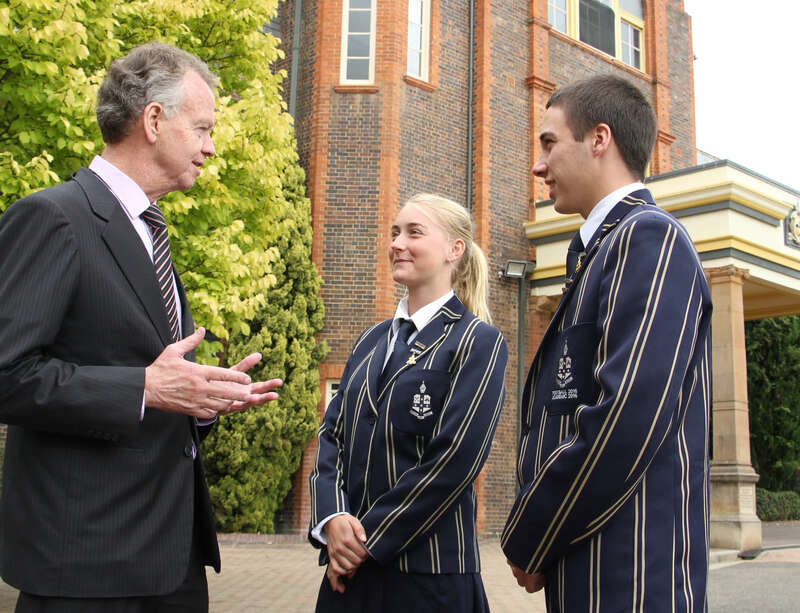 Outward looking and committed to both providing broader opportunities for our own students as well as honouring our role as a community citizen, TAS has formal partnerships with a number of organisations from local to national level. The Armidale School has been an official Associate Partner of the Northern Inland Academy of Sport since 2010, after many years of TAS supporting NIAS informally with venue and accommodation for its swimming program. Since NIAS was established in 1992 it has provided a valuable pathway for the elite athletes in the region to train and perform at a higher level, competing in state and national competitions across a range of sports. A significant number of NIAS athletes are also students at TAS, so the decision to become a formal partner with this centre of sporting excellence, was a natural one. This associate level partnership has assisted the Academy in providing opportunities to athletes throughout the northern inland region. NIAS sports inductions have also been held at the TAS Hoskins Centre and continued use of the indoor pool and gym facilities for the NIAS swimming program allow NIAS students access to the school’s high quality facilities. The history of rugby at TAS is as long as the school is old. This commitment to rugby and the drive of our staff has lead to TAS being recognised as a national training centre for rugby under a unique partnership with the Australian Rugby Union’s Junior Gold Program launched in December 2013. The ARU and TAS have united to provide facilities and specialist training to develop the on and off-field rugby skills of 15-18 year old boys in the North West and New England regions who have talent, character and commitment. Under the agreement the ARU provides high performance staff to support the further development of rugby at TAS recognising it as a national training centre for aspiring and talented young players. The TAS partnership with the ARU is the first in Australia at this level and provides access to national program coaching models used across the 23 recognised Junior Gold Program centres in Australia. The Junior Gold Program involves 800 players and 60 volunteer coaches nationally and is conducted between November and March, supporting the long term development of players over the off and pre-season. Recognising Armidale’s place as a city of excellence in the creative arts, TAS is proud to be a Gold sponsor of the New England Regional Art Museum. NERAM houses one of Australia’s leading regional art collections, including the renown Howard Hinton and Chandler Coventry collections. This relationship with NERAM allows TAS students access to renown artists, curators and exhibitions. It is a partnership based on furthering the understanding and appreciation of, and participation in the creative arts. Opera New England is a not-for-profit incorporated association whose principal objective is to provide high quality performance opportunities for students of Opera and in addition promote and produce opera in the New England region. Armidale is home to some outstanding musicians whose passion and commitment has resulted in the staging of various productions to rival professional companies in the city. ONE engages voice students from the Conservatorium of Music which gives them the opportunity to showcase their talents and develop their performance skills, while also providing quality productions to the New England region. TAS is proud to sponsor ONE with venue and technical support as it seeks to grow into a dynamic creative company. The Association of Australian Decorative and Fine Arts Societies offers its members a series of monthly informative and entertaining illustrated lectures, covering a broad range of cultural subjects and delivered by experts in the field. The TAS Hoskins Centre is the venue for the lecture series. As part of our partnership agreement, TAS staff and students are able to enjoy these fascinating lectures for no cost. The Armidale Drama & Musical Society first came together in the early 1920s, and was active until the war years. Reformed in 1963, it has been producing musicals continuously since that time, and in 2010 it merged with the Armidale Playhouse. ADMS has stages several productions at the TAS Hoskins Centre since its opening in 2008, thus giving students and staff opportunities to be involved with and view quality amateur musical theatre.